Insecticide solution Mosquito TECHNOCID eliminates all invasive mosquito species including the tiger mosquito. Insecticide solution Mosquito TECHNOCID eliminates all invasive mosquito species including the tiger mosquito responsible for diseases such as dengue. A distance or preventive, it also generates a strongly repulsive extended against these pests. 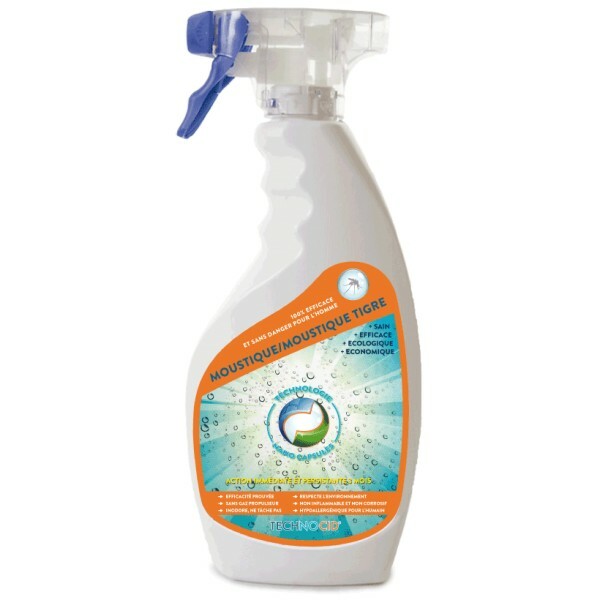 TECHNOCID be used indoors or outdoors on any surface, odorless and tasks. Applies curtains, door frames, walls, complaints and other media.